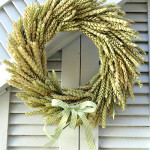 Have you made your fall wreaths yet? 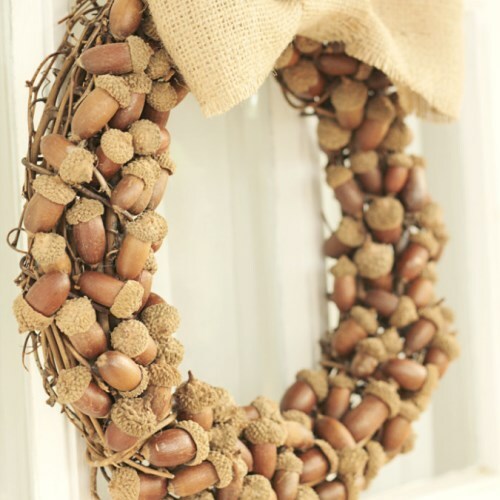 Acorns, as all nuts, are fabulous for rustic and autumn decorations, and acorn wreaths are a perfect way to use them. 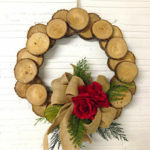 These wreaths are great for welcoming your guest at the front door, since they are quite sturdy and resistant, but they look beautiful over a rustic mantel or to compliment a woodland decorated corner inside the house, too. 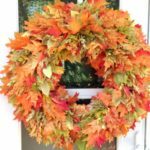 If you haven’t started your fall wreath yet take a look through our archives for more inspiration. 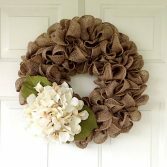 Want to get the look of this wreath with real acorns? Creations by Shelly sells acorns here! Although acorns look stunning as they are, a fun way to add an artificial touch to the acorns is to paint them with acrylic paint one by one or a whole bunch of them with spray paint (you could even spray paint the finished acorn wreath altogether, as long as you didn’t add any embellishments you don’t want to paint). I’d recommend using metallic, earthly tones for painting the acorns, or white color to make them wintery; and a little glitter can also add a nice, sparkly touch to your finished wreath. You can find the acorn wreath link to the video here. You can find the link to the fall wreath video here. 1. Secure a piece of twine or ribbon at the top of the wreath for hanging it later on. 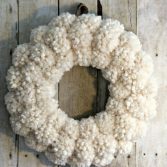 If you want to use a foam wreath form, make sure to cover the form with something, like wrapping it with twine or burlap fabric, or just spray painting it with a wood-like color, so the white won’t peek out. 2. Glue bulkier embellishments like seasonal items to the wreath (mini pumpkins for example) before gluing the acorns, if you choose to add them to your wreath. 3. Add a little glue to an acorn and secure it to the wreath. Continue doing the same with the other acorns, until you have the coverage you are satisfied with. You can use some moss or other material to fill the blank spots if you like, but if using a grapevine wreath underneath it will be a nice background on its own. 4. 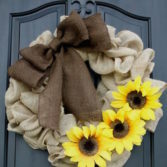 Add bows or ribbons for finishing the look of your wreath if you like. Done! The acorns may take a little time to glue on to the wreath, but it is well worth it! Make sure to buy a lot of acorns, since the final amount may vary because the sizes of the acorns can be different and you don’t want to not be able to finish the wreath just because you are a few acorns short. This wreath looks wonderful on a front door, but it can also shine indoors and add a rustic touch to any corner, perfect for fall or even winter. 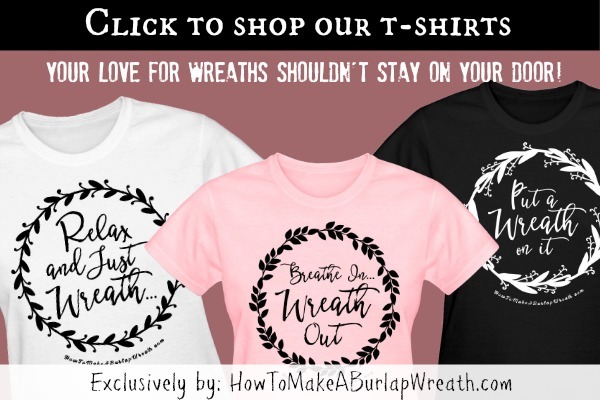 For more natural wreath tutorials, click here. This is a super cute little wreath. I am going to run to the dollar store and see if I can find acorns to make a little wreath for my front foyer mirror. I love how its just acorns, simple and quaint. So pretty! This is the perfect craft for all of those acorns in our local park! 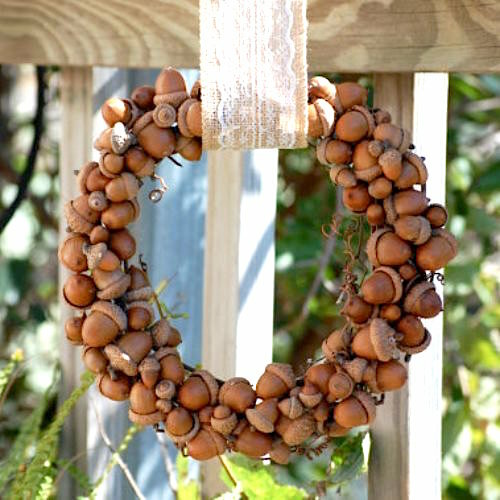 The wreath is so pretty and what a great way to use all of the acorns that end up in my backyard. I will start collecting them so I can make this. I love your acorn wreath! If we had oak trees around here, I’d totally be making this for fall. I guess I can buy some, but it’s so fun to collect them myself. I love the various sizes you used.